The new Totally Kissable Lipstick by Avon has full-coverage conditioning color infused with fruit enzymes and a blend of natural oils for lips that are visibly fuller, softer and smoother. It comes in a .106 oz. size and is an $8.00 value. 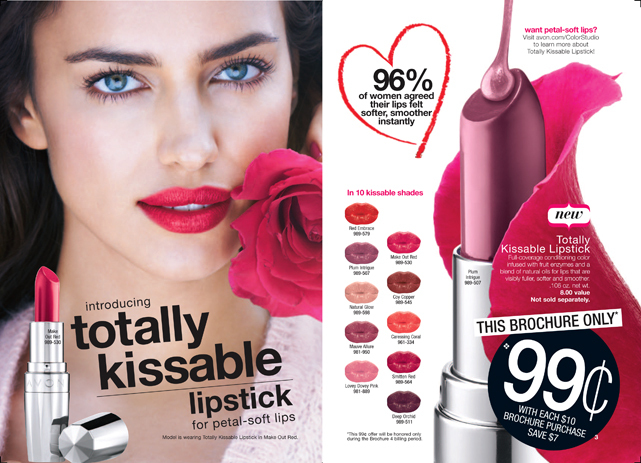 Avon is selling it in billable campaign 4 for only $0.99 with every $10 purchase made out of the campaign 4 brochure. 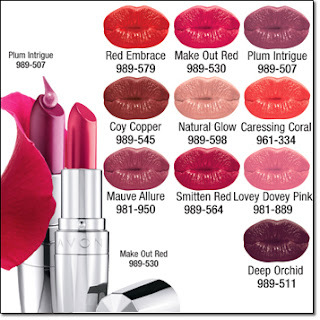 Yes, that means if you buy $20 you can choose two $0.99 Totally Kissable Lipsticks. $30 will mean you can buy 3 for $0.99 each as well. Hurry because this offer will not be valid at my official Avon online store after 02/05/2013. Go to the following link to order yours today!